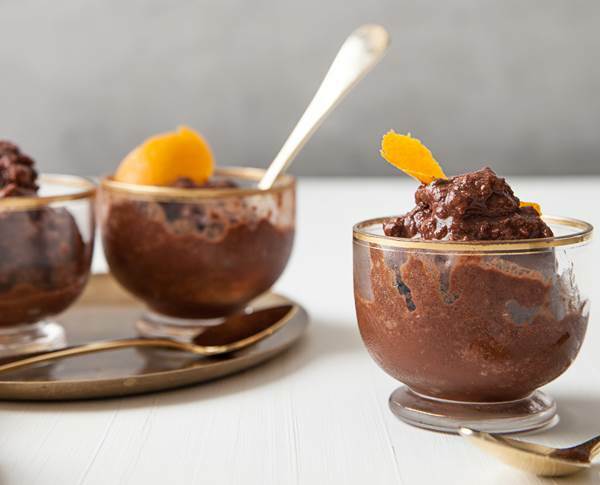 To celebrate chocolate’s global influence on our American culture, a story of connection that brings people together, spanning time and place, AMERICAN HERITAGE® Chocolate invites you to try their Chocolate Granita Recipe. This recipe takes about 20 minutes to prepare and makes 6 servings. (not including 3-4 hours of freezing time). 1. In a medium saucepan over medium heat, combine the coffee, water, and sugar. Bring to a simmer. Once simmering, whisk in the chocolate, and continue to whisk until melted, about one minute. 2. Transfer mixture to a square glass or metal baking dish. Place on a level surface in freezer. After about 45 minutes, use a fork to begin to scrape the granita. Leave granita in freezer, scraping with a fork every 30 minutes until a fluffy, snow-like texture has formed, about 3 to 4 hours. Once the entire granita has reached this consistency, it is ready to serve. I love chocolate and have made many chocolate desserts, but have never tried a granita recipe. My family would love this because it is a mocha granita .